Pile on the work and keep it at your fingertips. 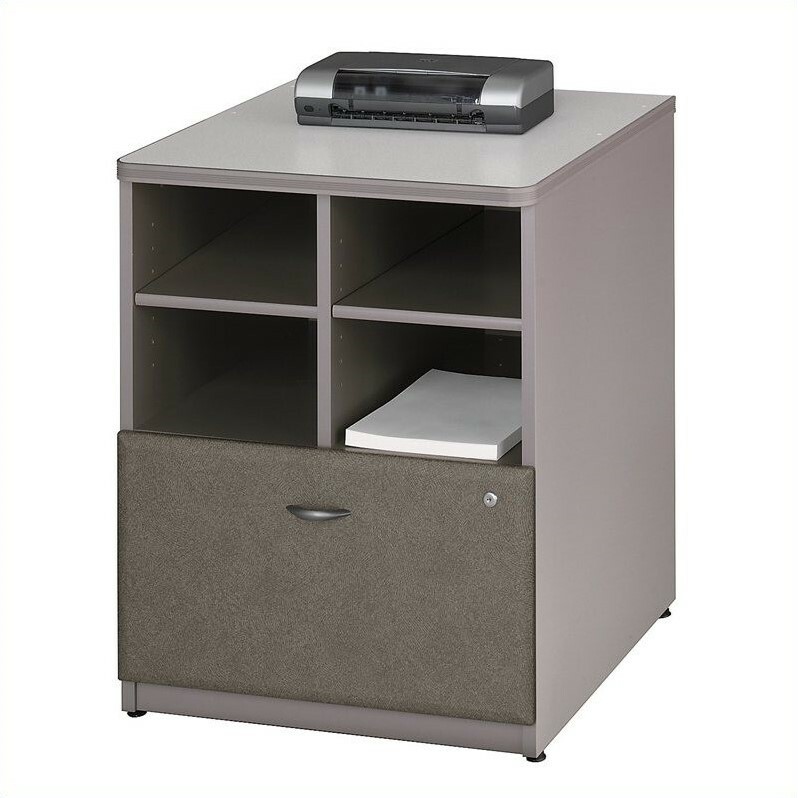 The versatile BBF Series A 24"W Piler/Filer offers open and concealed storage. 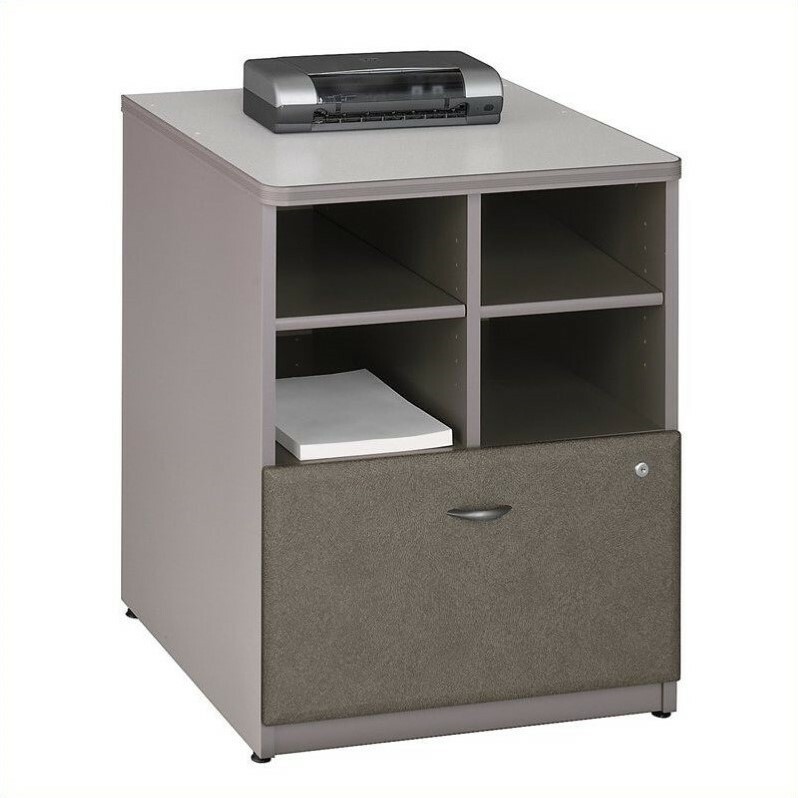 Flexible, multi-functional lateral file drawer holds letter, legal, or A4 files. The open storage compartment offers two adjustable shelves to add to the Piler/Filer's versatility. 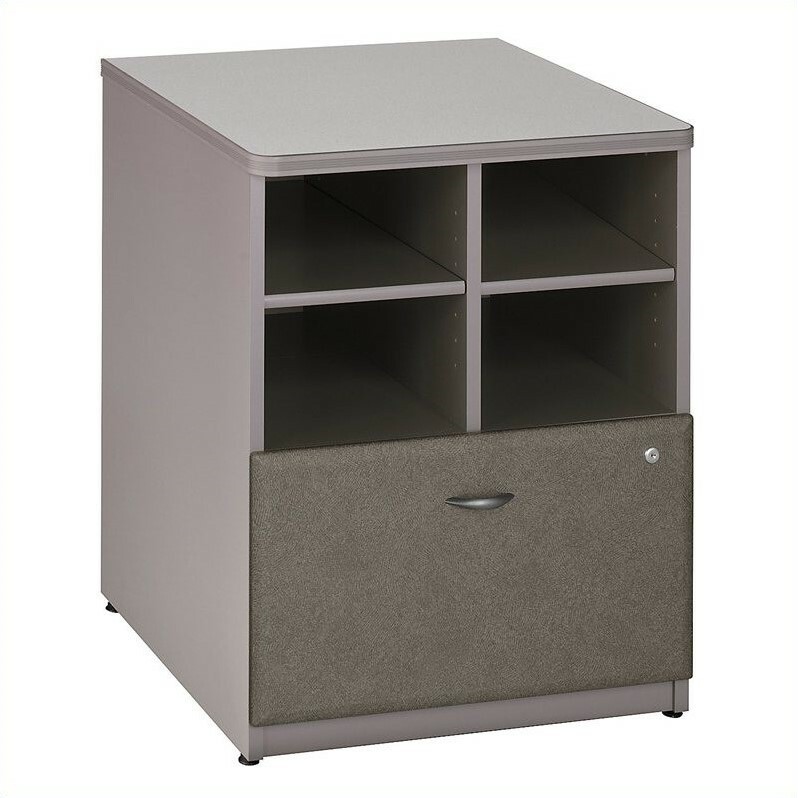 Sturdy 1"-thick top surface allows heavy loads without sagging. Hide unsightly cords with the wire management grommet at the back of the unit. Tough, durable edge banding stands up to bumps, nicks and collisions. Easy-to-situate with adjustable levelers for stability on uneven floors. Solid construction meets ANSI/BIFMA test standards in place at time of manufacture; this product is assembled in the U.S.A. and is backed by BBF 10-Year Warranty.